The traditional CCTV system in Malaysia is very good at recording and allowing you to play back and watch what has happened before. It is sort of fun to play back the videos and see what people are doing when they are not aware of the cameras but it is not really something I enjoy doing frequently. I doubt those people with the traditional CCTV system at home remember how to play back the videos from the DVR by now, let alone knowing if the CCTV system is still working. Most of my friends would tell me that their CCTV system has actually stopped working and the installer has yet to come fix the problem. So much for after sales service right? More importantly, if my apartment had a break-in, the burglar could just easily take the DVR and along with all the evidence (the recorded videos). I would end up with a few units of useless cameras. Even with the remote viewing capability added during the recent advancement in the traditional CCTV system, it still would not stop the evidence from vanishing if the break-in happened unless the burglar did not even care to take it with him/her because he could be wearing a cap or a mask. The more daring ones probably don’t even care about hiding their faces. After all, what can the authority do about it even when all faces are captured clearly in the video? 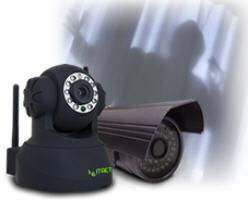 So what is so great about NuTACT CCTV systems Malaysia? In short, NuTACT SmartCCTV system is actually a combination of 3 systems namely, NuTACT Video Management System (VMS), Preventive Surveillance System (PSS) and Multiple Sites Simultaneous Monitoring (MSSM) System. Both PSS and MSSM are cloud-based systems and IP camera that are behind the portal we call the Cloud Surveillance Management Center (CSMC). Alright enough terms and jargons, let us look at the real benefits here.